It’s March, and that means spring break, March Madness and St. Patrick’s Day — and festive events tend to involve alcohol. Although this isn’t inherently bad, social drinking can quickly turn into a binge. According to the National Institute on Alcohol Abuse and Alcoholism, binge drinking is a pattern of drinking that takes an individual’s blood alcohol concentration (BAC) to .08 percent or higher. We’re guessing you don’t regularly measure your own BAC, so what does this mean in drinks? For men, a binge usually occurs when more than four drinks are consumed in two hours. For women, it takes three or more drinks in the same period. So yes, you might be able to have three or four drinks over the course of two hours without bingeing — but they can’t be pints or double pours. There’s a variety of tactics you can use to drink less in social settings. Using these strategies, you can have fun with family and friends without imbibing too much. When you are out and enjoying yourself, it’s easy to have “just one more.” To prevent this, plan ahead and set a specific number of drinks you’d like to stop at. 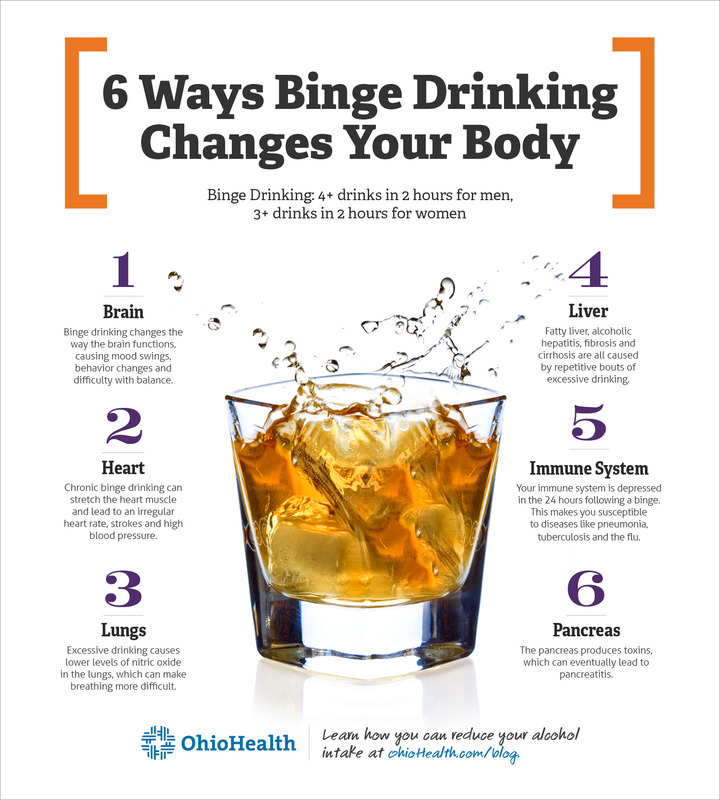 As previously stated, most men can have four drinks in a two-hour period without bingeing. So, if you’re a man and you know you’re only going out for two hours, set your limit according to these guidelines. By planning ahead, you’ll be much more likely to exercise restraint. Drinking on an empty stomach is always a bad idea. With little or no food ahead of time, the alcohol can enter your bloodstream much faster. This makes it difficult to control your consumption and can lead to intoxication much earlier than expected. This is a dangerous combination. So, don’t start having drinks at the St. Patrick’s Day party without eating first — either before heading to the party, or at the party before imbibing. Who doesn’t like party snacks anyway? Not only does water help you avoid dehydration, it also helps you pace yourself. If you have one glass of water for every drink, you’ll stay hydrated and avoid having too many drinks too quickly. Why does this matter? Remember, the total number of drinks is important but the other part of that equation is the time in which you have them. Too often, people will have their first few drinks quickly, which usually leads to intoxication and additional drinks. In other words — a binge. As we’ve previously stated, drinking water is important, but nonalcoholic beverages of any kind can help when you want to avoid a binge. Not only do they stretch out the number of alcoholic drinks you have, they also help you avoid the social pressures to drink. So, instead of having another green beer, order a glass of tonic water with lime. That friend who always pesters you to have one more might actually leave you be. You’re watching what you drink, but are you watching what you eat? Try these healthy snacks during March Madness!